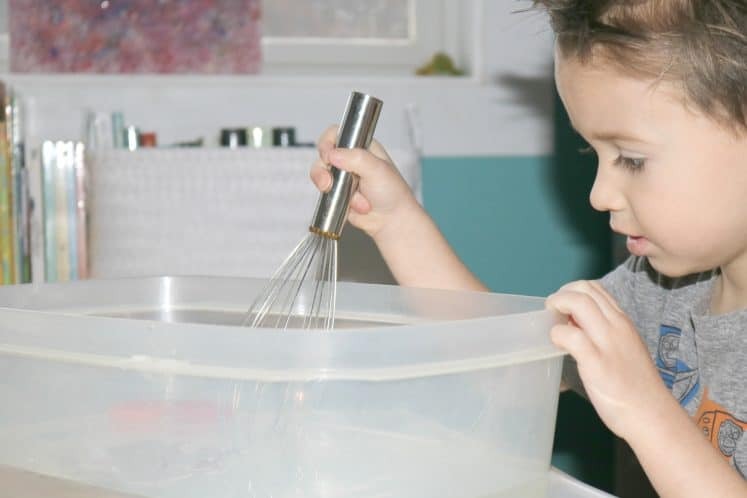 If you’re looking for a water sensory activity for preschoolers, then look no further. 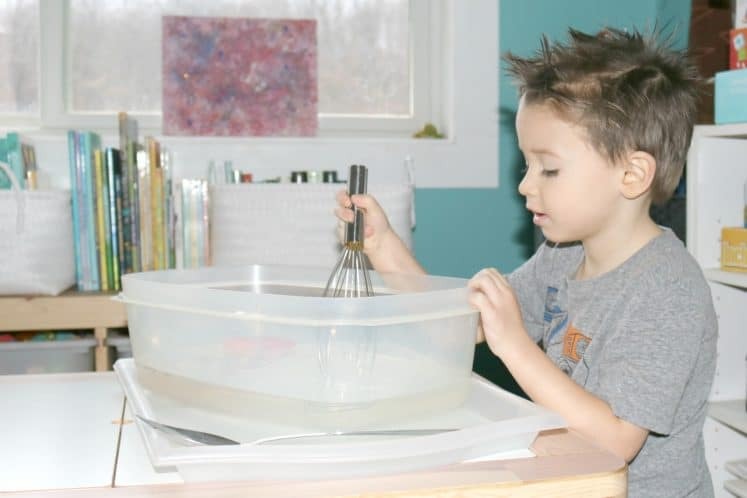 Here’s one that uses everyday objects to introduce the concept of moving water in a fun, easy to understand way. 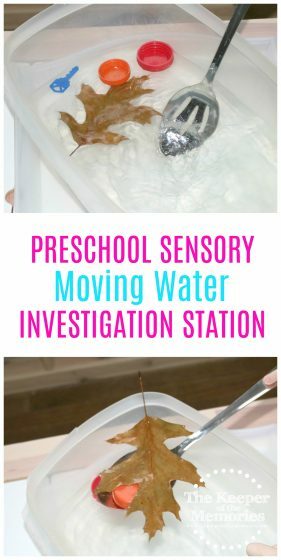 This week, we had lots of fun exploring transportation by air and water and one of our favorite activities was this cool Moving Water Sensory Activity. It was one of the five STEAM Station ideas for the week. And as always, the little guy had a blast with it. 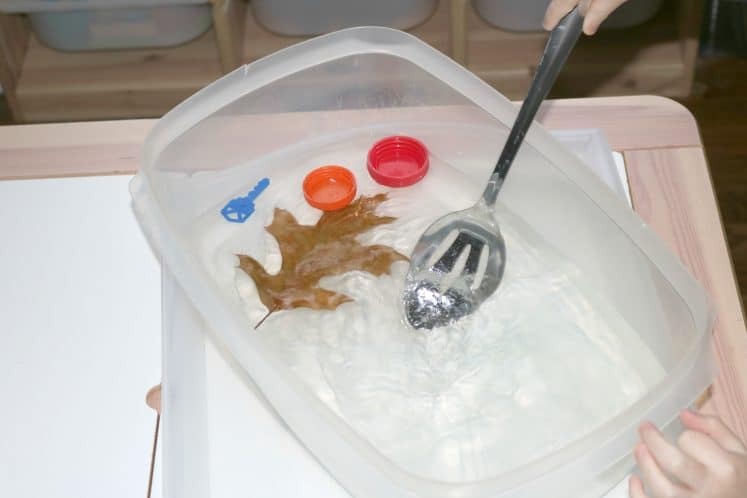 Put a variety of plastic lids, leaves, and other objects in the water and investigate how they move. 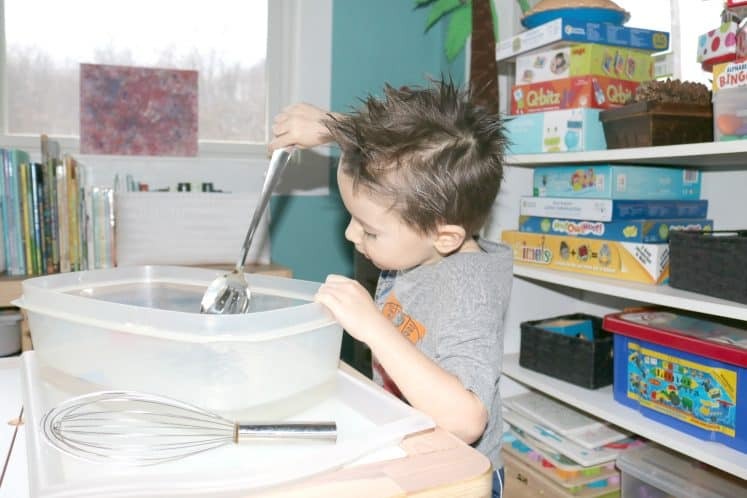 Set out spoons and whisks to use in the water. How can you make water move? How can you create big ripples in the water? How can you make small ripples? 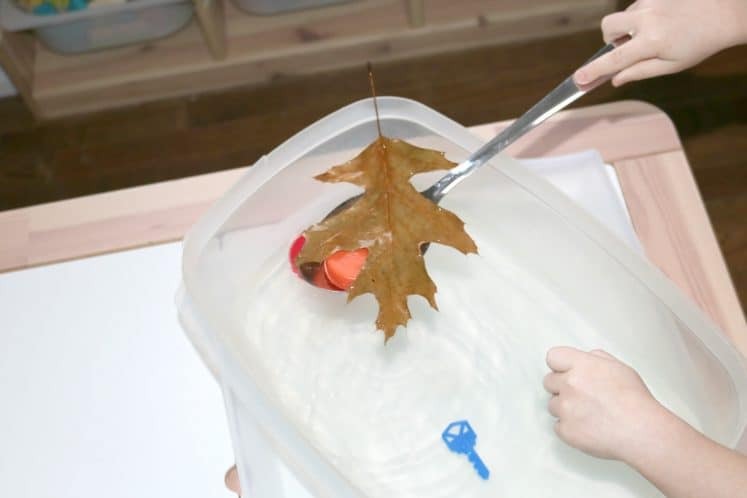 What happens to the objects in the water when it’s moving? This activity was great for learning about cause and effect. One of the things that I asked the little guy when we were finished was how do you make the objects move slowly? And of course how do you make them move quickly? By the time we wrapped things up, he more or less had it all figured it out. I’m not surprised, though. 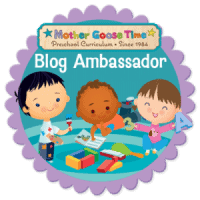 Mother Goose Time makes it easy to teach difficult topics to little kids. The activities that are included each month are quick to set up and flexible enough to work with what we’re already doing. It’s definitely less of a curriculum and more of lifestyle. We usually leave our STEAM Stations out for at least a few days. Sometimes, all week. These Investigation Stations have a lot to do with why he loves science. 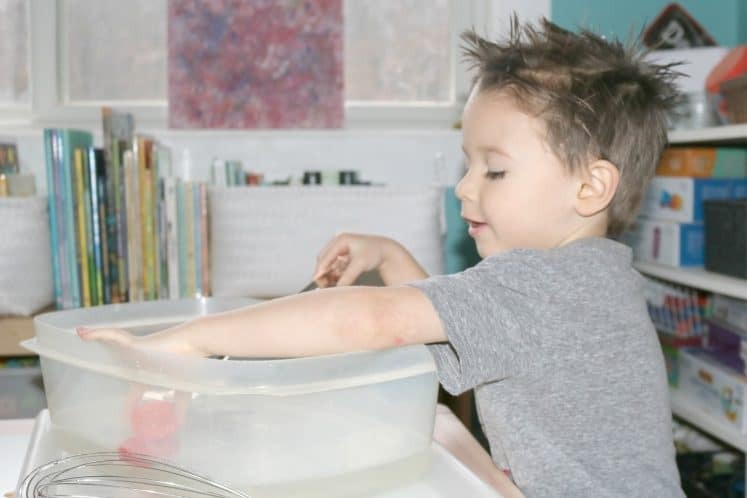 Each week, we’re doing hands-on, sensory activities and exploring important science topics in totally new ways.